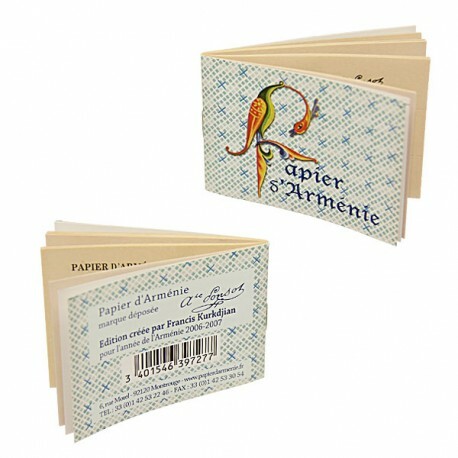 Since 1885, Armenian Triple Paper has been the oldest indoor fragrance. 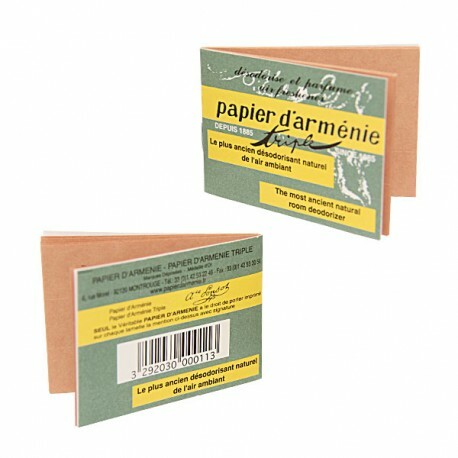 The unique smell of the small brown paper comes from the resin of Benzoin whose disinfectant virtues were discovered by Auguste Ponsot in 1885, during a trip to Armenia. 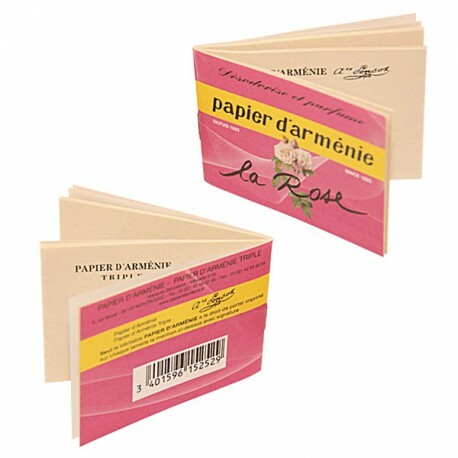 Keeping the oriental notes that we know him, this book seduces by its perfume with the rose and offers exclusive scents. Myrrh, sage, lavender and cedar wood make up an Orientalist perfume, a real olfactory travel book. He revisits the mythical smell to get closer to the Armenian scents.